If you have a vegetarian in the family then you know what poor excuses for a vegetarian entree are often served in restaurants. Making a vegetarian entree does not have to be difficult, you just need to be mindful of the ingredients. Working with Cut ‘N Clean Greens again, I developed a very fancy but very easy vegetarian entree Mustard Green and Smoky Chickpea Strudel. Wouldn’t this look lovely on your Easter Dinner table? Proudly sitting right next to the glazed ham, between the macaroni and cheese and the green Jello? This strudel is so appetizing everyone will enjoy it, vegetarian or carnivore! 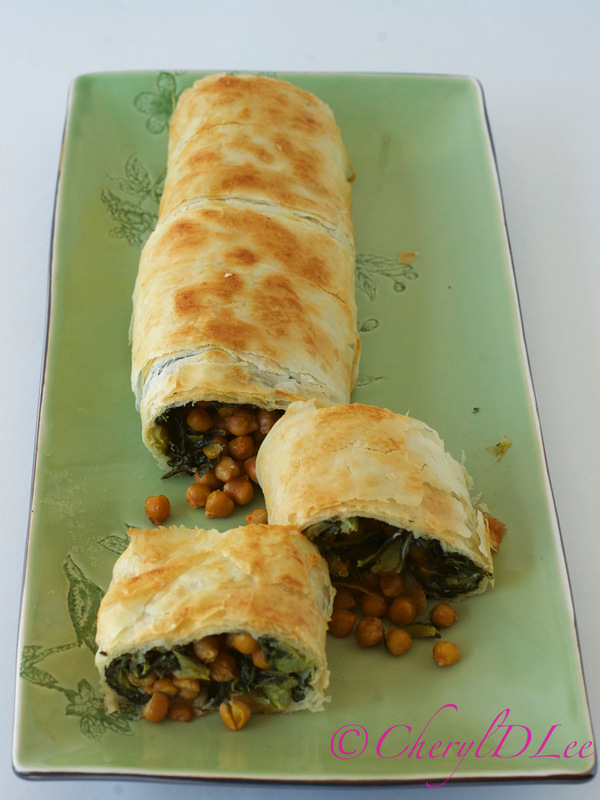 Please click here for the Mustard Green and Smoky Chickpea Strudel.